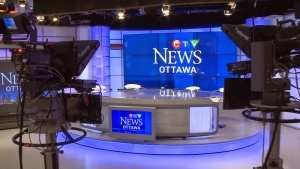 CTV Ottawa is the News and Entertainment Programming Leader in eastern Ontario and western Quebec, with a weekly reach of more than one million viewers. Locally, CTV News has won regional and national awards for broadcasting excellence as well as for its tireless work in the community. The station recently celebrated its 50th anniversary of broadcasting. Imagine aligning your products, messaging and services with an organization with a one stop shop approach. A Company that will work with you to develop the most cost efficient plan offering a great return on your investment. 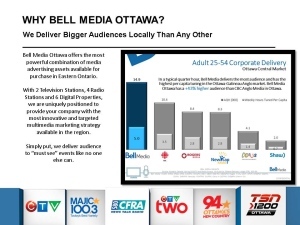 Welcome to Bell Media. Having trouble finding something on our website? Need help entering a contest? 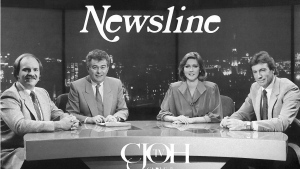 Would you like a copy of a news story that appeared on our broadcast? 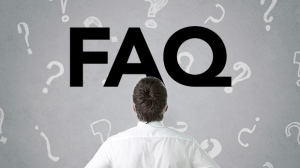 Check our frequently asked questions to see if you can find an answer.